Designed to meet the requirements of IVF and ICSI Procedures. 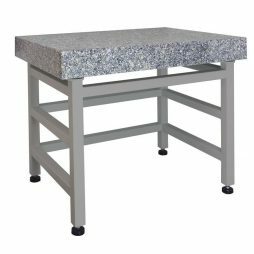 Our tables are available with Active-Air Anti-Vibration, Passive Anti-Vibration, Rigid, and Corner. Our microscope anti vibration tables consist of high-quality ergonomic design with a modular system of accessories, making them ideal for use in imaging and electrophysiology applications. The active-air and passive anti-vibration frame options provide the user with a tabletop that is isolated from the detrimental effects that vibrations in the lab may cause. All our tables are available in different sizes and shapes. We can also provide custom build tables according you customer requirements. 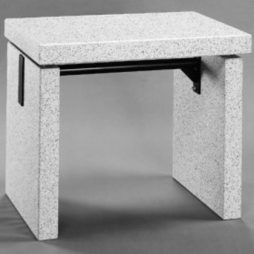 We offer stainless steel/granite tabletops. The upper and lower rails on the frame allow the user to strategically place shelves and other accessories around an imaging system. A corner option is also available that fits in the corner of the lab/room and permits access to the entire surface from the slanted corner. These corner option desks are available with either active or heavy duty passive isolation or rigid non-isolating supports. 7 days dispatch from the date of purchase order. Our tables are recommended for use in such diverse applications as electrophysiology, cell injection, ultramicrotomy, photomicroscopy, scanning probe microscopy, and confocal laser scanning microscopy. Vibrations are eliminated by a complex anti vibration system achieved through an optimized choice of mass and stiffness supports and ensures a fast dampening effect. The inverted microscope is placed on an equilibrated and isolated platform, which gives a smooth and roomy workspace around the microscope for micromanipulation, equipment, mini incubators, patient records etc. The table is adjustable for all available models of inverted microscopes incl. motorized models. Enhance the use of the anti vibration table and work with an oncoporated monitor arm. The microscope platform of the anti vibration table does not touch the actual table. The results is that vibrations reaching the table do not affect the platform. A mass and a stiff support spring system to ensure fast dampening. An equilibrated and isolated platform for the inverted microscope. Roomy workspace around the inverted microscope for micromanipulating systems. Stainless steel shelf for accessories. Monitor on a flexible arm (optional).